The CW's Batwoman pilot has officially found its main foe. 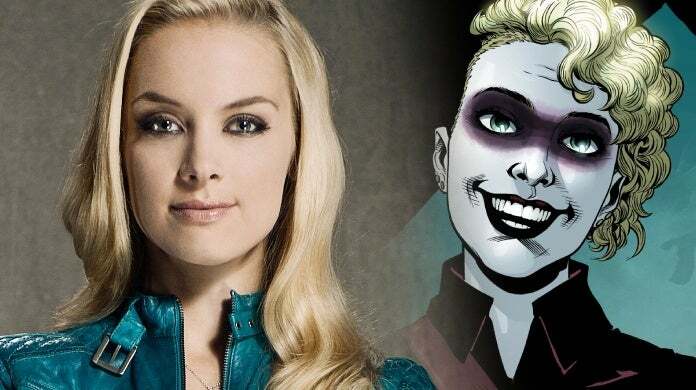 According to a new report from Deadline, Rachel Skarsten is set to play Alice, the lead villain role in the pilot episode. If Batwoman had a Joker, it would be Alice, the leader of her Lewis Carroll–inspired Wonderland Gang. Swinging unpredictably between maniacal and charming, Alice has made it her mission to undermine Gotham’s sense of security. In the comics, Alice and Red Alice are codenames used by Elizabeth Kane, the presumed-dead twin sister of Kate Kane/Batwoman (Ruby Rose). Early on in Kate's life, Elizabeth and her mother are presumed dead after a terrorist kidnapping gone wrong. Years later, as Kate is working as Batwoman, she crosses paths with Elizabeth, who has since become one of the criminal leaders within Gotham City. Elizabeth, now mentally broken after the trauma of her youth, molds herself after Alice from Alice in Wonderland, and ends up being a pretty formidable foe for Kate. It's unclear exactly what elements of this storyline Batwoman will follow. Skarsten is no stranger to the DC TV world, previously playing a Dinah Lance on the 2002 Birds of Prey series. While her iteration of Dinah differed a bit from the comic iteration of Black Canary, Skarsten's performance has become pretty beloved by fans. Her filmography also includes Reign, Lost Girl, and Imposters. Batwoman will star Ruby Rose as Kate Kane, an openly-lesbian crime fighter who aims to keep Gotham safe. The cast also includes Meagan Tandy as Sophie Moore, Camrus Johnson as Luke Fox, and Nicole Kang as Mary Hamilton. Rose's portrayal of the character was first introduced in last December's "Elseworlds" crossover event, and is expected to return in this year's "Crisis on Infinite Earths" crossover. "I get to be Batwoman," Rose said when she was first cast in the role. "I feel like the reason I kept getting so emotional was because growing up watching TV I never saw someone on TV that I could identify with, let alone a superhero. I've always had this saying, well not me, Oscar Wilde, which is 'be yourself because everyone else is taken' and so I always lived by that motto and the second motto when I came into the industry was 'be the person that you needed when you were younger' and I feel like one motto sort of led me to the other and I just kept crying about it." While the pilot has yet to officially begin filming yet, The CW president Mark Pedowitz has expressed confidence that it will ultimately get picked up to series. Are you excited to see Skarsten join Batwoman? Share your thoughts with us in the comments below!